Finance Period – What you need to know! If you’re financing a home you’ll need to submit a Third Party Financing Addendum to the contract. This outlines some of the terms of the loan including the finance period. “What is a finance period?” you ask. This is the amount of time that you have, from the date that the contract is executed, for the loan to be approved. While your REALTOR will monitor this time period, ultimately it’s YOUR (the Buyer’s) responsibility to make sure the loan is approved on time. This means that you have the responsibility of maintaining contact with your lender on loan status. During the “finance period” your lender will verify your employment, credit, etc. and complete their due diligence. “Why is this period important?” you ask! That’s a great questions! 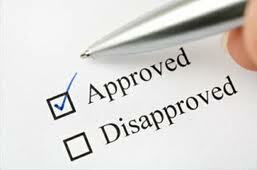 If your loan is approved during that period, you have nothing to worry about. However, if your loan is NOT approved you risk losing your earnest money. Remember… if your lender can’t complete the loan, you must notify the Seller in writing (by the end of the finance period…typically 15-20 days from the date that the contract is executed) so that you don’t lose your earnest money. Knowledge is power…Be sure to ask questions and educate yourself so that you make the best decisions in your real estate transactions!